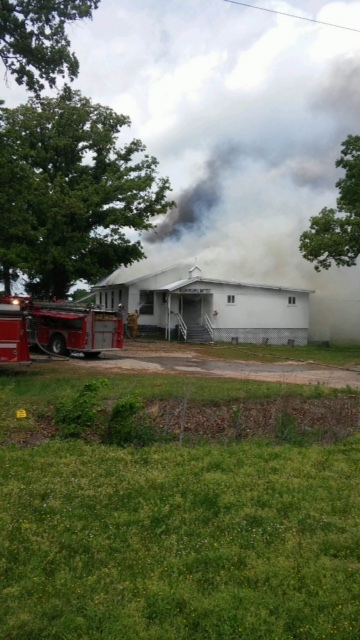 Weleetka, OK (May, 11, 2015) Early last week the Allen Free Will Baptist Church in Weleetka, OK experienced a total loss of their facility due to a fire. AFWBC is the home church of Darin Hebert, well known bass singer with The Williamsons. The church building was very old. Portions of the building were constructed over 100 years ago in the nearby town of Bryant, Oklahoma. 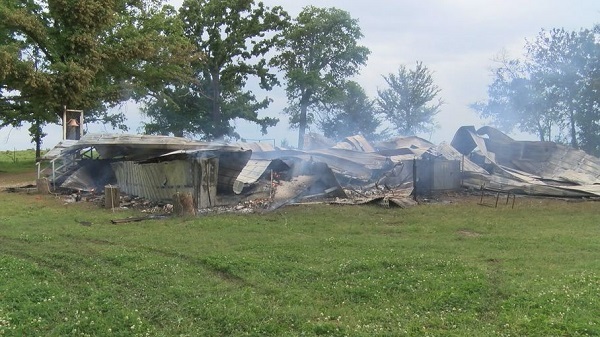 In the 1930s the structure was moved by horses and cart to its current site just outside of Weleetka city limits on Highway 75. Not only is it Darin’s home church but it also has a rich history within the Williamson family. Group baritone Donnie Williamson attended this church as a boy and it is the place where original Williamson Family member Tennie (Williamson) Polson received Christ as her Savior. Donnie’s father, Rev. Woody Williamson, once served as pastor. Please keep Rev. Donnie LeForce, pastor, and the entire congregation of the church in your prayers. 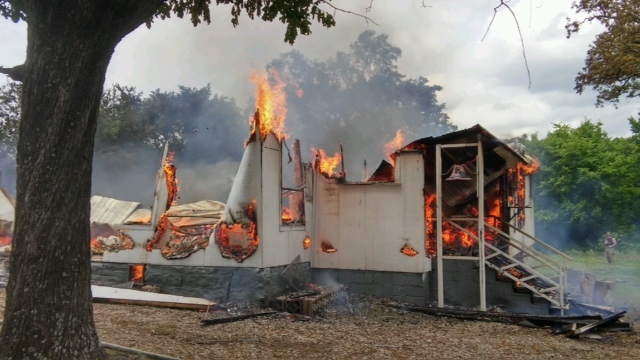 Anyone wishing to donate to the reconstruction of the facility may send donations to the Allen Free Will Baptist Church (Fire Fund), c/o the Mabrey Bank, PO Box 248, Weleetka, Oklahoma, 74880. In other news for the Williamsons their new radio single “Shout” hit the Absolutely Gospel Music Chart at #28 last week and is racing up the chart at #17 for the week of May 11th. You can learn more about the Williamsons by going to http://www.williamsonsmusic.com or https://www.facebook.com/pages/The-Williamsons . 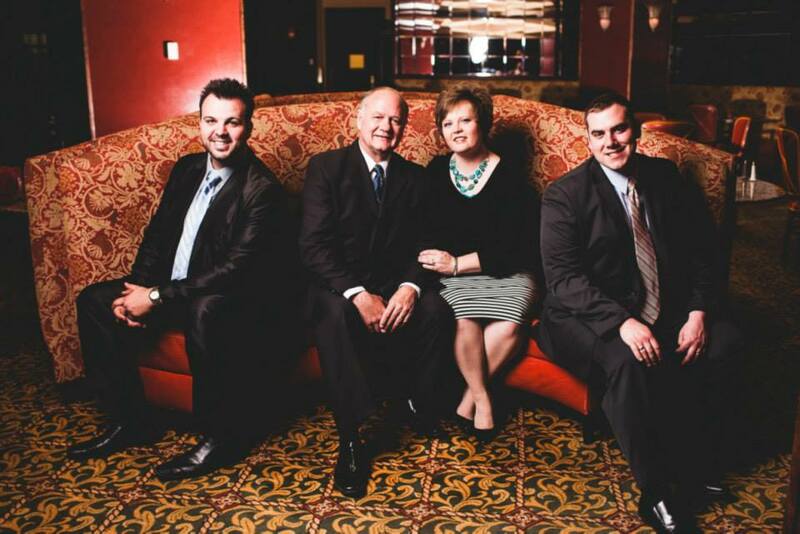 The Williamsons began sharing the Gospel through music in 1998 as The Homesteaders Quartet. The dream of Donnie Williamson was to form a group to sing classic Gospel music on a limited basis. What he wanted to do never occurred. From the group’s onset their demand was overwhelming. Soon they were performing more than 100 dates a year. 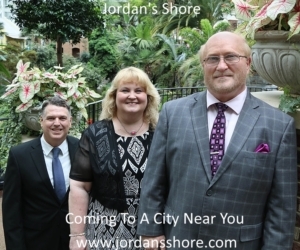 For the past several years The Williamsons have been in full time Christian ministry and entertainment and have traveled across the United States, Canada, and Mexico. Their music has been in national charts and were they honored to be nominated to the Gospel Music Association for a Dove Award.